Hot flashes are possibly the most well-known symptom of menopause, and they can happen at any time, including while sleeping. Hot flashes at night might cause excessive sweating, a condition often referred to as night sweats, or nocturnal hyperhidrosis. While this does happen to some women, it is possible to suffer with either condition, without experiencing the other. Read on to find out more about how the two problems can relate to each other. 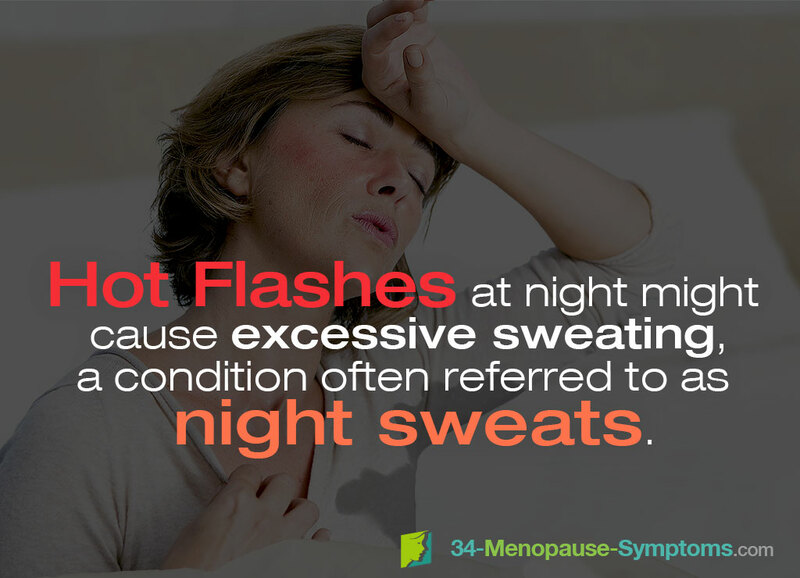 Menopausal changes are known to be the most common factor regarding what causes hot flashes at night. The hormonal implications during this period of a woman's reproductive life interact with the chemicals in the brain, which can then influence body temperature. This can cause the body to become overheated; the reason behind hot flashes. Excessive alcohol consumption. Regular consumption of alcohol can also contribute to hot flashes - avoiding or limiting alcohol should decrease their frequency and intensity. Obesity. Being overweight can greatly exasperate hot flashes. Infection. Bacterial infections, such as tuberculosis and HIV can cause fever, resulting in night sweats. Anxiety. Emotional stress can manifest itself in the form of night sweats. If you are experiencing anxiety it might be advantageous to consider therapy. Medication. Some antidepressants, diuretics, and blood pressure medication have night sweats among their side effects. It is widely considered that night sweats are a form of hot flashes at night, but the fact is that both can have different causes and treatments - and it is possible for a woman to experience one without the other. Depending on your personal circumstances regarding health, it might be that both can be attributed to one cause; however, it is important to look into other aspects too and seek medical advice. Stress is one of the main causes of headaches and night sweats. Click on the link for further information about night sweat treatments.